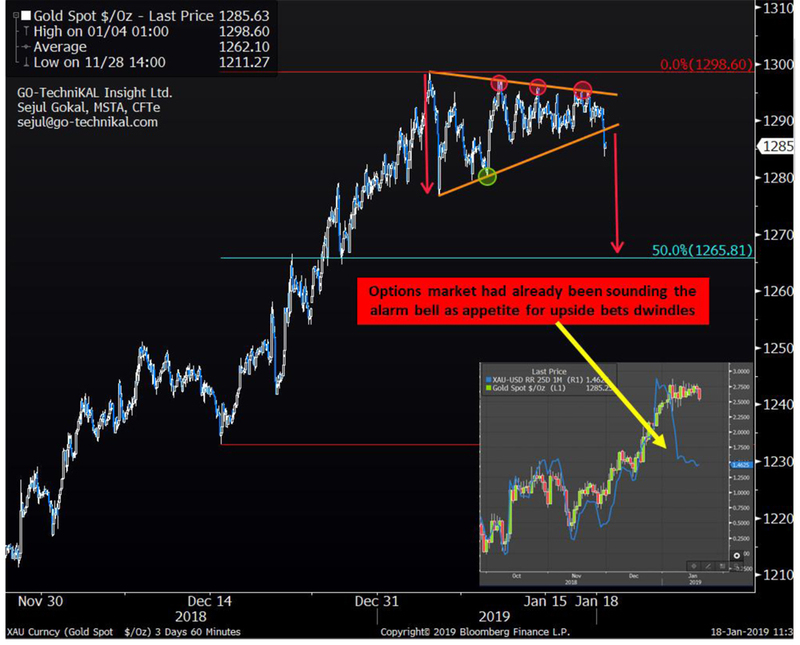 Gokal says the move is consistent with warnings from the options market in late 2018 (see Chart 1). Moreover, he thinks Gold may continue to underperform the Chinese Yuan, initially targeting the 55-day moving average line (see Chart 2). 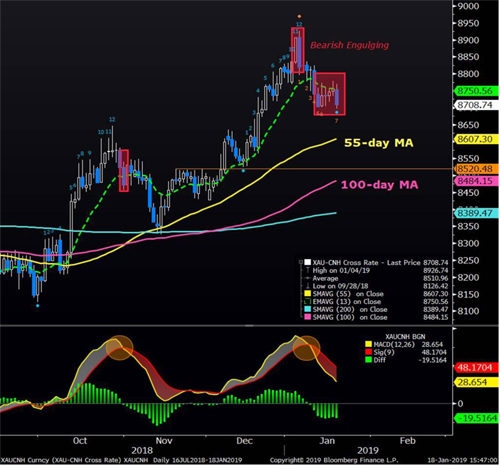 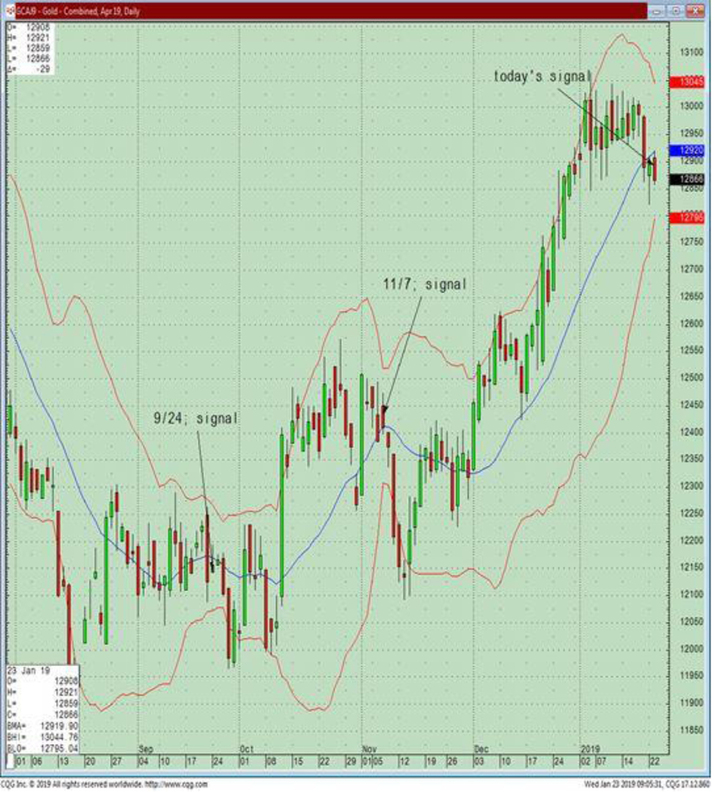 James Dima, technical analyst at Marex Spectron, is still neutral on the direction for Gold, but makes the point that the Bollinger Bands are at a historically narrow width (see Chart 3, April 2019 Gold). 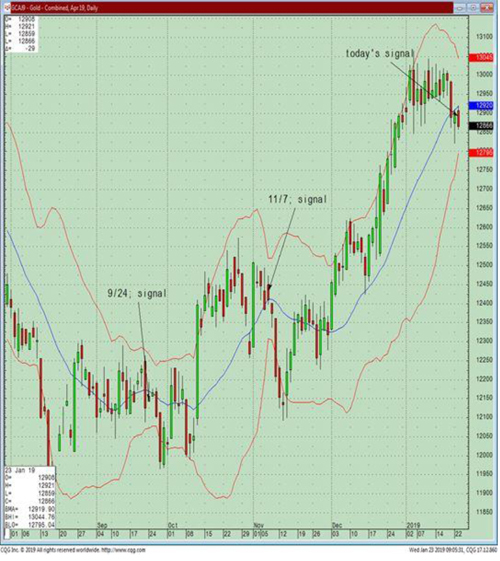 He says this typically signifies that a market is about to breakout from its trading range. Similar Bollinger Band constrictions for Gold occurred in September and November last year, shortly before large price moves .